The architecture in D.C. is alluring and incredible. The buildings made the Capitol City for me with their bold colors, curves, and unique lines. I took more photos of buildings than I ever have before. Can you blame me? Just look for yourself. I want to design rooms from the color palettes within the city. Our last day in D.C. was spent on the water, paddle boating around and taking in the Thomas Jefferson Memorial. On the walk back to our hotel we stopped for a brief walk inside the Smithsonian Institution. 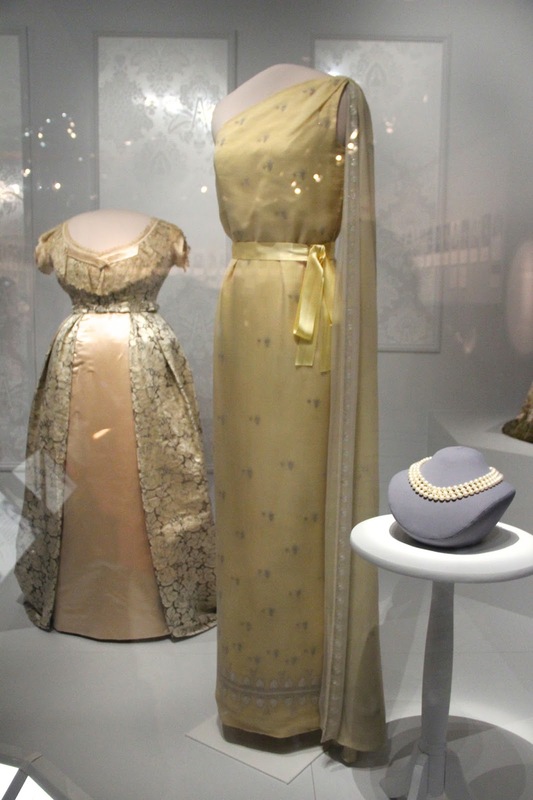 My absolute favorite was the exhibit of first ladies' inaugural dresses. I might just have wished I could try them all on. On our way out of town, we swung through Capitol Hill in hopes of stopping at Eastern Market. Though we didn't stop (we were just ready to get home), I loved seeing the perfectly strung rows of houses in all their beautiful colors. While husband and I couldn't see ourselves really ever living in D.C., I might be convinced if I could live in a house on Capitol Hill. I bet its breathtaking in the fall! For more of our District travels, see here & here.